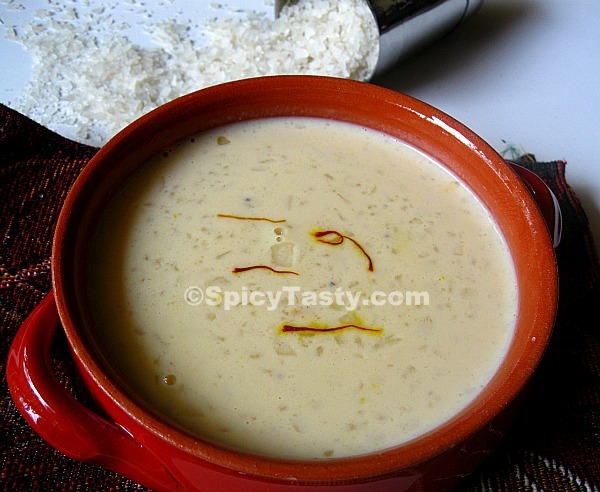 Pal Payasam is yet another tasty kheer recipe that is easy to be made. 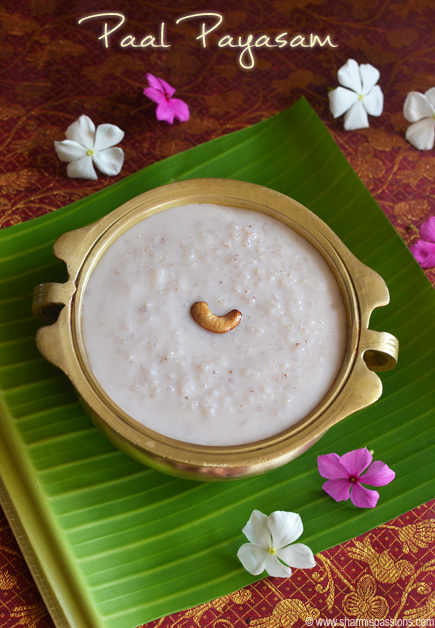 Prepared by simmering broken rice in milk and flavored with cardamom powder, this is one of the authentic Kerala recipes and an inevitable dish in Sadyas. 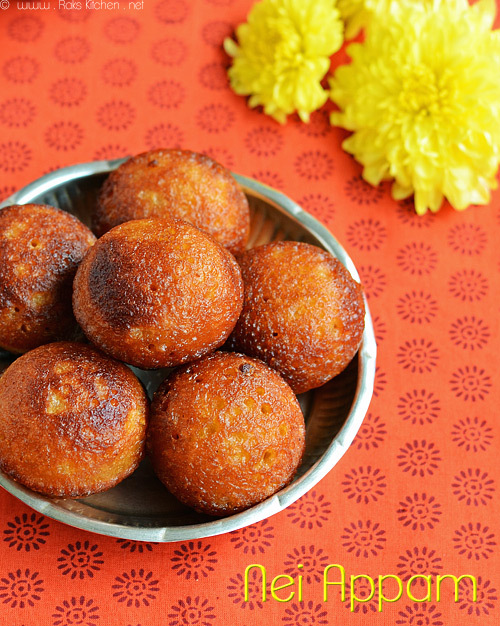 This recipe is even simpler as it is cooked under pressure cooker method. Wash rice thoroughly under running water and soak it in water for 60 minutes. Drain the rice and add to a milk filled in a large vessel. Mix in sugar. Cover with a lid and pressure cook for 2 whistles on high flame. Lower the flame and simmer for about 40 minutes. Remove from heat and wait until pressure subsides. Take out and mix in cardamom powder. In a small frying pan, heat clarified butter. Add crushed cashews and roast until golden. Mix in raisins. Pour over the payasam and give a quick mix.